The best tasting, most versatile creamy Greek sauce for dipping raw vegetables, sliced pita, grilled kebabs, meats, fish, gyro sandwiches and more. It’s the same sauce used to top my most delicious Turkey Burger with Caramelized Onions ever! Burger recipe here. 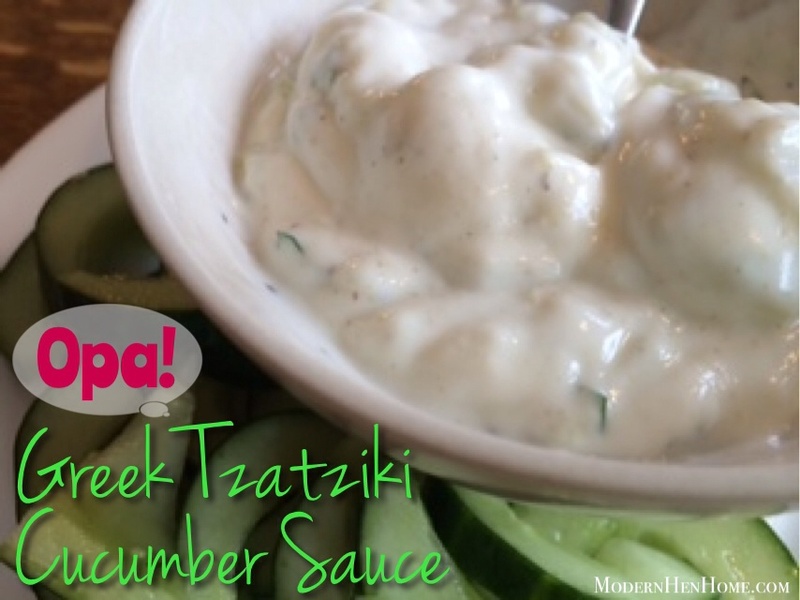 I love grilling soft pita then slathering this Tzatziki on them. So good and addictive! Stir yogurt, sour cream and lime juice in a bowl until mixed. Add cucumber seeds, Greek seasoning, garlic, cumin, parsley and mix. Season with salt and pepper. Serve at room temperature, or cover and chill. A favorite to dress most any dish! Next week I will post the recipe for shrimp and calamari fajitas that can be topped with Tzatziki. Oh, my you don’t want to miss it. Stay tuned!